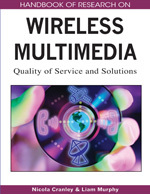 This chapter introduces quality of service in multi-access wireless networks. Specifically it demonstrates how QoS is implemented in IEEE 802.11 and UMTS. The chapter explains how these complementary technologies, when coupled together, provide a network that is greater than its individual parts. Combining these networks brings new network management challenges. To this end, the impact of joint admission control strategies on quality of service is evaluated. The evaluation is performed on an advanced test platform that replicates an integrated Release 4 UMTS network and standard IEEE 802.11b network. The results show that when UMTS and WLAN are tightly coupled, the end user enjoys a higher level of quality of service. Mobile network configurations are becoming increasingly complex. Wireless communication networks are migrating from a set of insular competitive technologies toward a heterogeneous or converged wireless access topology comprising a diverse range of radio interfaces. Cells from different radio technologies overlap in the same area resulting in co-existing layers of access technology. In this complicated environment, a multi-mode mobile can connect to different cells and unless there is knowledge about each cell it is difficult to optimise network performance and to manage resources efficiently. Multi access or heterogeneous networks provide additional capacity for data traffic with the potential for load balancing of other services when the network becomes congested. This can be achieved through targeted admission of certain classes of traffic (e.g., background/interactive) when the session starts, or by forcing the handover of selected traffic. There has been great interest recently in the convergence of distributed, mobile networks and more localised wireless access technologies. As illustrated in Figure 1, universal mobile telecommunications system (UMTS) and IEEE 802.11 Wireless LAN (WLAN) represent two wireless technologies that show great promise in terms of interoperability and integration. UMTS was built from the ground up to support high levels of quality of service (QoS) for packet-based services in addition to providing voice in a macro-cellular environment. IEEE 802.11 WLAN is a contention based wireless access technology designed to provide high data rates with a micro-cellular footprint. The interworking approach taken in the ARES testbed embeds WLAN into the UMTS radio access network (RAN). Since foundation level QoS was not part of the initial design of WLAN, it can be viewed as a complementary source of bandwidth for non-realtime critical services such as Web and e-mail in a UMTS system. Diverting background/interactive traffic to WLAN allows UMTS to support a higher number of voice and video calls, reducing call blocking rates.